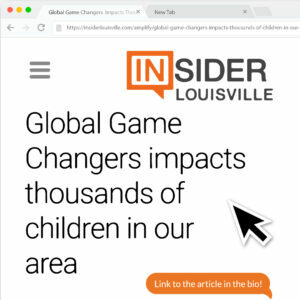 Global Game Changers and Muhammad Ali Center Introduce Unique Afterschool “Discover Your Superpower” Program for At-Risk Students Louisville’s future SUPERHEROES! 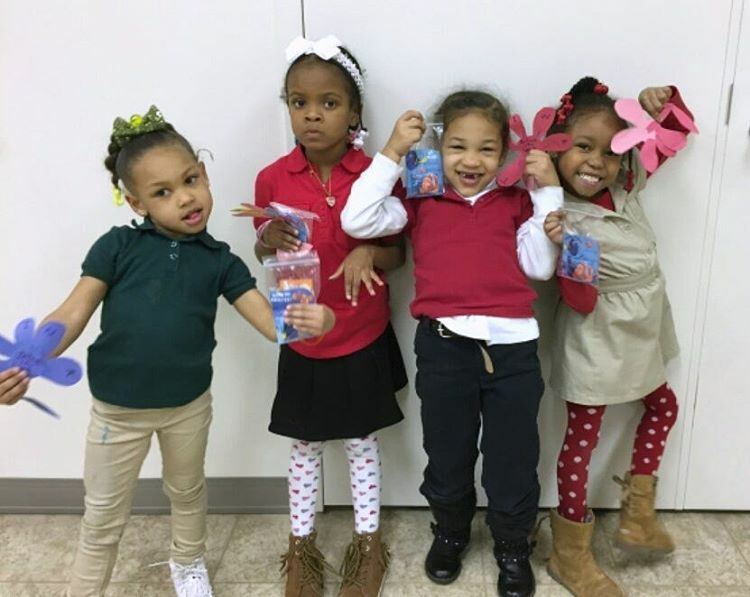 LOUISVILLE (January 7, 2016) – Mayor Fischer, community organizations and education leaders will gather at the Muhammad Ali Center on Wednesday, January 13, 2016 at 10:30 AM to announce the launch of a unique afterschool time expanded learning opportunity provided free to at-risk students. Fifty students in grades K-5th grade from Jefferson County Public Schools (JCPS) Whitney Young Elementary in Louisville’s West End will spend every afternoon afterschool for 16 weeks immersed in the Global Game Changers interactive educational program that will allow them to discover their inner superpower to make the world a better place, using the equation: MY TALENT = MY HEART = MY SUPERPOWER. The Global Game Changers and the Muhammad Ali Center, whose closely aligned missions to empower youth with the tools for a successful life, are collaborating to pilot this high quality out-of-school time expanded learning opportunity that will have a lifelong impact on our community’s most underserved population. Believing that out-of-school time presents a unique opportunity to change a child’s life, their goal is to specifically address inequities caused, in part, by the 6000-hour “enrichment gap” experienced by lower income and minority families by the time they reach 6th grade. This gap, which compounds the “achievement gap,” puts these young people even further behind their well-advantaged peers through inequalities created by lack of access to quality afterschool programs, summer camps, preschool education, extracurriculars, enrichment, and parent interaction. Bringing together cultural, community and education partners, this project will serve as a 21st Century Skills model to promote the role of museums as critical partners in providing culturally enriching, high quality, expanded learning afterschool time programs to our most vulnerable youth. Project partners include: Global Game Changers, the Muhammad Ali Center, Whitney Young Elementary School, Jefferson County Public Schools, the University of Louisville and Compassionate Louisville. This collaboration will also serve as a model for intergenerational learning through integration of a youth and senior mentor support program. The Global Game Changers curriculum allows students to explore different charitable causes, develop their talents, hone their social-emotional skills, learn from other children’s examples, and ultimately plan and implement their own individual service project, using their talents to serve causes they care about. As part of the program, each student will put their superpower into action during the Mayor’s Give A Day Week, when the entire city engages in service and compassion. The goal is to create a sustainable connection with the lessons learned, to ensure continued engagement beyond the end of the program. Whitney Young Elementary Principal, Mary Minyard, is a champion of the program and enthusiastic partner. She will reinforce the program values during the school day, hoping to help to transform the culture of the school. 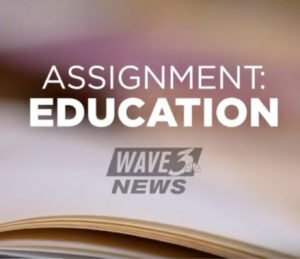 The program is provided at no-cost to students or their families and includes transportation to and from the Muhammad Ali Center from Young Elementary. Youth mentors are provided in partnership with the University of Louisville’s School of Psychology and Brain Sciences. Senior mentors are provided in partnership with the University of Louisville’s School of Medicine Optimal Aging Institute. The program will be professionally evaluated in partnership with the University of Louisville College of Education to measure its impact and efficacy on the participants and on the school culture. Support for the program is provided by Kosair Charities, Hilliard Lyons, The Gheens Foundation, Brown-Forman, Louisville Magazine, and the Corporation for National & Community Service-AmeriCorps VISTA. Compassionate Louisville Education Sector and Service for Peace, through a Martin Luther King Service Grant from the Corporation for National and Community Service, will dedicate a Compassion Bench to the Muhammad Ali Center and Young Elementary that will commemorate this project’s commitment to philanthropy and compassion-based education. The Compassion Bench project was started by the Compassionate Louisville Education Sector to provide “safe spots” in the community where children are encouraged to express compassion.